FANTASTICS from EXILE TRIBE 「Can&#39;t Give You Up」フルVer. 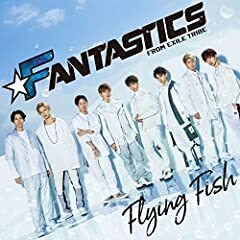 FANTASTICS from EXILE TRIBE 2nd single 「flying fish」 カップリング曲 「Can't Give You Up」フルVer. FANTASTICSさん(EXILE TRIBE) ｢Believe in Love｣サビdance cover?※映画｢４月の君、スピカ。｣主題歌?